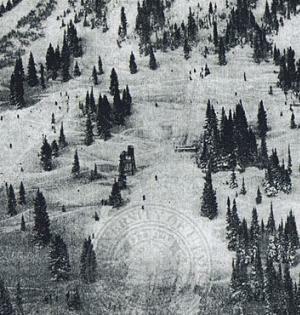 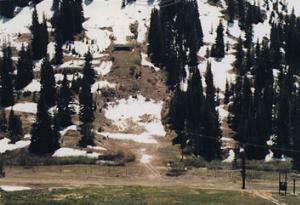 At the inauguration of Landes Memorial Hill at Alta, Utah, in 1948 Alf Engen jumped a first hill record of 181 feet (55 meters). 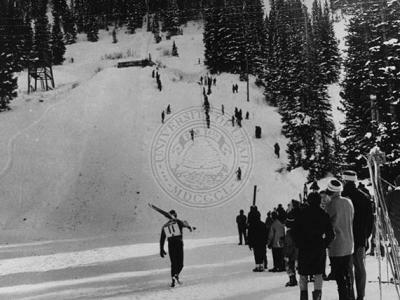 In 1949 the first annual competition was organized, in which always numerous ski jumping stars of the postwar area took part, like for instance Norway’s Olympic Gold Medal Winner Arnfinn Bergmann and to which thousands of spectators came. 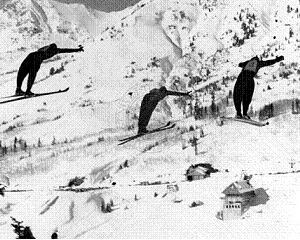 After the ski jumping activities at Landes Hill ended in late 1960’s / early 1970’s, in May 1988 inrun and judges tower were finally removed.